Follow the links below to find details about these job opportunities: Powerwashing Pig Units/ Loading Pigs Pigfarm stock person Share these jobs with someone you know who might be interested in this work. 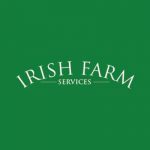 Follow the links below for further details: Dairy Herd Manager required for 300 cow spring calving herd in Laois Farm Manager Wanted Wanted Farm Manager/ Herdsperson for Progressive Dairy Farm Have a look at our full lists at https://www.irishfarmservices.ie . Dairy farm position available in Cork: Wanted Experienced Dairy Farm Worker Share with anyone you think would be suited to this. What Irish Farmers Should Expect When Travelling To Oz.